This was written by Program Director of the Stockland Accelerator, Matthew Werner. Matthew is supporting startup founders to build the scalable proptech startups and drive change and innovation across the property industry. At the end of March, the #StocklandStartups had their third immersion days in Melbourne! The sessions were all focused on brand, marketing and sales to help the startups take their businesses to the next level. The founders had workshops with industry experts, our own alumni founders and marketing team, as well as some domain experts from Stockland. In just a few days, we covered a lot of ground! 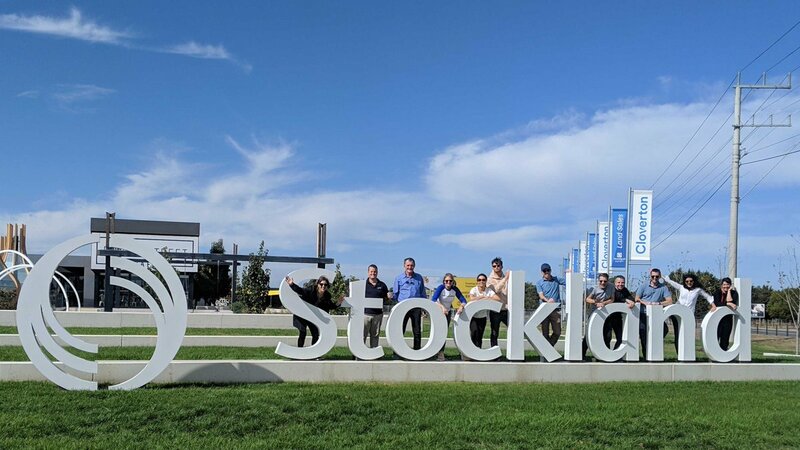 Our partners from Stockland hosted the two immersion days at their Melbourne offices and then took the cohort on an innovation tour of several of Stockland’s large scale communities around the Melbourne area. The Stockland team seriously supports the founders and their startups, and Stockland sees innovation as one of their key priorities. We organised sessions and panel discussions led by Stockland teams which really resonated with the startup founders. The founders learned how Stockland creates a vision for their developments and how they bring customers on a journey as they build out their future homes, offices or retail spaces. Some of the Stockland Melbourne team sharing their insights with the #StocklandStartups. Just a few months into the accelerator, the founders are building out their products, and are also bringing along early adopters and customers on their journey. The founders came away from these sessions with concrete and practical insights about keeping customers engaged by creating a sense of anticipation and excitement about the finished product. 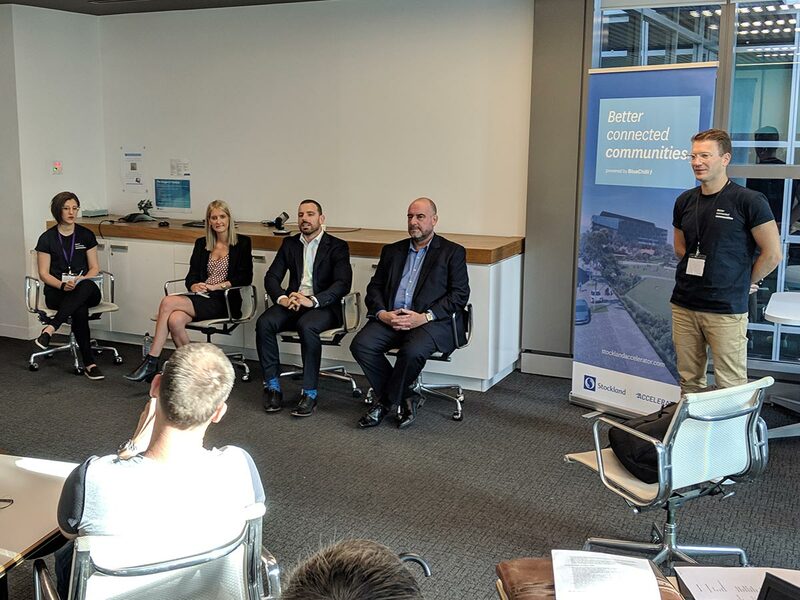 As the immersion was based in Melbourne at the Stockland offices, it was a great opportunity for the cohort to network with the wider Stockland Melbourne team. The founders took advantage of our mentor mixer to practice their pitches in front of the Melbourne office and to connect with team members working on similar projects and problems. Business cards were flying around, follow-up meetings were set-up and professional relationships with Stockland were created as the founders showed the team how they could solve some of their pain points with their innovative solutions. 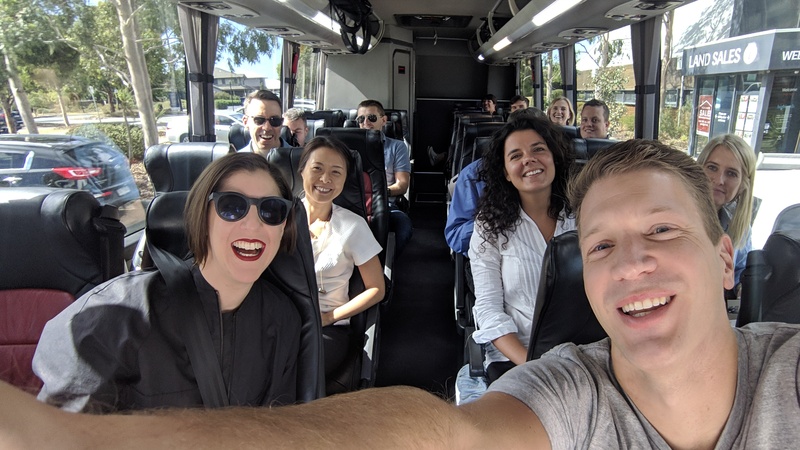 We topped off the immersion days by embracing one of BlueChilli’s core values – GOOBing (getting out of the building) – to visit five of the Stockland communities in the Melbourne northern district. The tour was the perfect opportunity to see and experience Stockland’s innovative urban living solutions in various forms of development. We visited a range of communities from newly launched residential areas (that will be home to 20,000+ residents over the next few years) to more established communities, in addition to a growing master planned community that will become the largest of its kind in Victoria and the second largest in Australia! #StocklandStartups on tour at Cloverton, one of the Stockland communities north of Melbourne. Experiencing these community spaces firsthand and seeing the care that Stockland takes when creating communities, opened many doors for the founders and helped them visualise the impact their startups can have on these communities. The founders left the tour with many opportunities to explore! Over the first two months of the Stockland Accelerator program, we have seen how the Stockland team is working hard to remove some of the barriers that make it difficult for startups to work with large corporations. This process begins with raising awareness and educating teams about the differences between startups and larger, established legacy suppliers. For example, several of our #StocklandStartups are in discussion with Stockland around pilot opportunities for their MVPs or prototypes as a way to test their assumptions, gather information and add value to Stockland’s business objectives. These potential pilots are great opportunities for our startups to get traction with an industry leader, which in turn gives them credibility when approaching other large corporations for future contracts. It can be difficult for a corporate company to adapt to new ways of working and update processes to respond to agile startups. Like most large and legacy companies, Stockland recognises that there can be challenges working with early stage startups, but knows it’s worth trying to figure out the way best way for a chance to be the first corporate to work with the next industry changing startups! The #StocklandStartups will be spending the month of April preparing for the Product Showcase that will be held on the 1st of May. The Product Showcase is an exciting event at the halfway point of our BlueChilli accelerator programs where founders have the opportunity to share what they’ve achieved so far and explain in-person their big vision. Our founders will introduce their startups to Stockland team members, advisors, industry and startup ecosystem professionals with the view of establishing additional pilot opportunities, signing up new users and getting feedback on their products. The anticipation is palpable and we cannot wait to see the #StocklandStartups wow the PropTech community next month with the work they have done in the first part of the Stockland Accelerator. The #StocklandStartups and Stockland Accelerator team after three insightful days together. Program Director, Matthew Werner is an entrepreneur who successfully founded an education management business based in Paris and the United States focusing on leadership development, corporate innovation and entrepreneurship.